In the past, many Cambodian youths found it difficult to travel overseas unless they could afford the myriad expenses such as transport, food and accommodation. These days, the opportunity to travel is made possible through foreign training programs. Although some programs require students to spend more than one week abroad, students are eager to participate as it gives them a chance to visit other countries and learn from the cultural exchange. Hak Srey Nith, a freshman student at the Department of Media and Communication, enjoyed the chance to participate in an Asian Youth Forum in Thailand. “I was away from class for half a month since I want to get new experiences abroad and I also want to improve myself,” Srey Nith said. She added that it was her first time to have experience abroad. 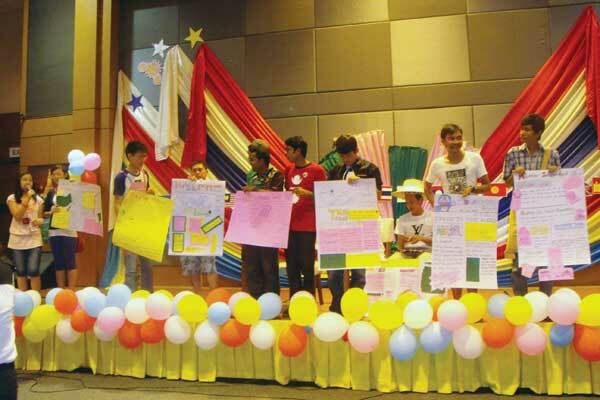 “I was so happy in that camp for two weeks because I improved my public speaking and debating skills,” she said. Unfortunately, many students who are eager to grab the opportunity to go overseas are applying for such programs without concerning themselves about the consequences of missing lessons. Tieng Sopheak Vichea, Director of Department of Media and Communication of Royal University of Phnom Penh, advised institutions to make background checks on the international programs before granting leave to students. Other things to consider are: is the program related to their core subject and will it affect their school progress if they skip class for many days? However, he said that he has allowed some students to pursue programs abroad even though they were not related to their studies. “If it can give them more life experiences and not affect their studies too much, I will grant them a leave of absence,” he said. Vuthy Panchakrong, a third-year student at the Institute of Foreign Languages, said that the opportunity to go abroad for training benefits youths because they can showcase their talents in an international arena. He personally spent two weeks in Thailand as well as China for international competitions. Because of being absent from the class for many days, Panchakrong also faced many challenging with his studies after coming back from the camp. He recounted the challenges he faced upon returning home. “I was absent from class for two weeks. I could not submit the assignments on time, and I had to spend much more time on revision,” he said. Neang Sovathana, a radio host and president of Initiative of Change Association, agreed that there might be negative consequences to skipping class, such as missing exams. However, it depends on the students’ negotiation with their lecturer. In most cases, university lecturers encourage students to gain fresh experiences abroad. Sovathana recommends that youths should consider this before deciding: Is the training program related to your field of study? “Do not go for the sake of escaping school,” she said.